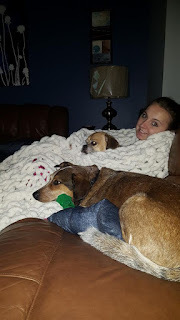 It looks like all three love the afghan!!! Good job auntie!!!! Doesn't it make you feel so good when they love something you made? So precious, nothing says love more than a handmade gift. any ideas for a border?